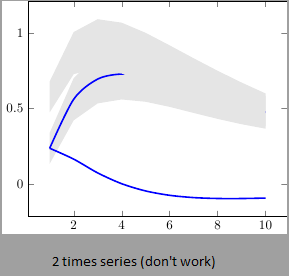 I've two times series (y_h, y_f) with a lower and upper bound (confidence interval). I'd like to plot all of them on the same picture. 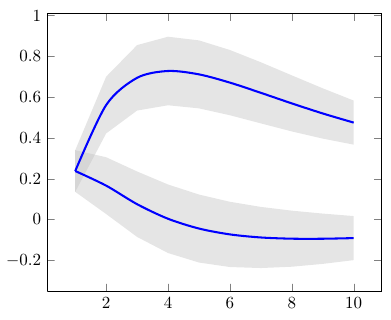 I've succeeded in plotting y_h with upper and lower bounds, but i fail when i add y_f and its bounds. (btw I want to fill in grey between the upper and lower bound) I can't find the trick to make it work, i'd be very pleased if anyone had the solution. 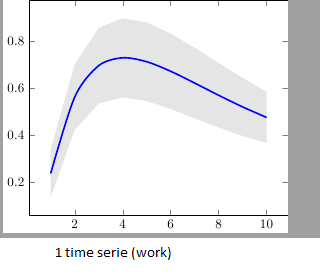 Is there an easy way of using line thickness as error indicator in a plot?